Late night musings on the profession of teaching, of teaching math, of teaching middle school, of being a mom and author, of trying to pay the bills! Read on... whatever the hour may be... you can sleep when you're dead. Another Easter weekend has come and gone. It really is a crying shame not to have Monday off, when everyone is fried from too much sugar, too much family, too much egg salad, and in most cases, too little quality sleep. And in my case, TOO MUCH PINK! Now that the last major holiday of the season is over, we are in full-swing testing season mode for the next month and a half. Science testing, language arts testing, 2nd round of math testing, and then NWEA vertical math and language arts testing. Can we really blame the kids for wanting a little sugar in their system to help stay awake tomorrow? 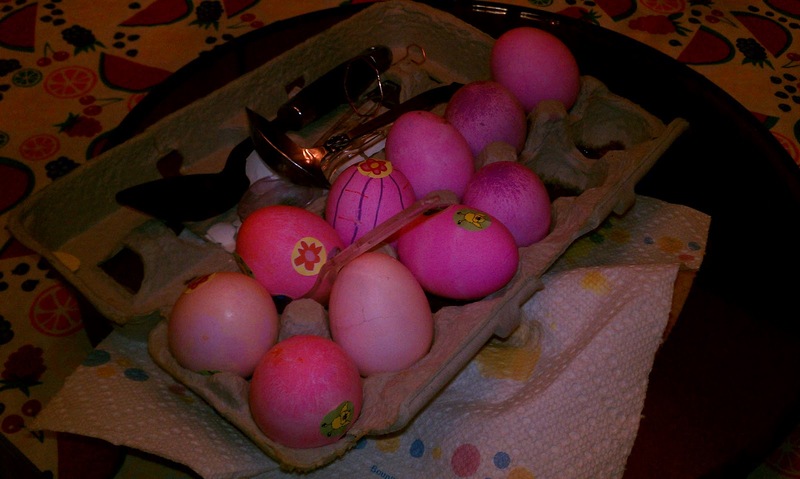 I will have my own secret stash, pilfered from the spoils of three separate Easter egg hunts, to keep me going. And some very large cups of coffee. So then... how can we help each other in class tomorrow? Me as the teacher, and them as the students, to have a meaningful, productive day? 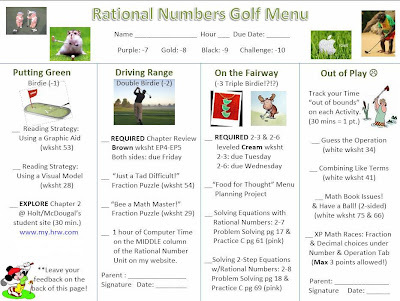 -a brand spanking new GOLF math menu! 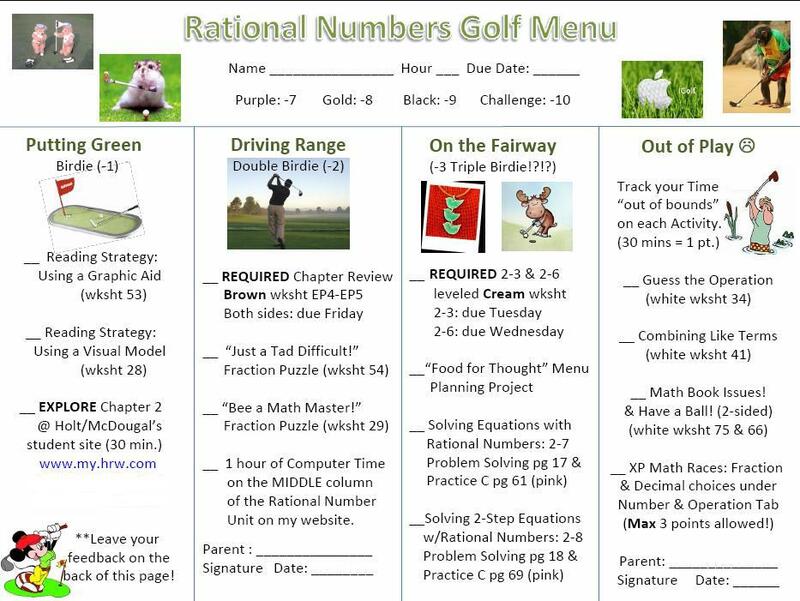 The best part about the math menu, that I just came up with... is the "Out of Play" section. I'm hoping the students will really like it. They get to track their own time in completing the activities, with 30 minutes = -1 point. By offering them multiple pathways to achieve similar educational outcomes, they should have an easier transition back into the world of math, away from the world of sugar. Purchase a copy of my workbook! Ready to Network? Join me on LinkedIn!